In each of us, Christ consciousness is waiting to be awakened. Christ consciousness is the awareness that behind outer appearance and form, all life is one and connected. As we enter this level of awareness, we gradually let go of our fear, our resistance, our need to control. We discover the reality of our divine essence, our soul. Life becomes less about struggling to survive, driven by the demands of the ego, and more about joy and creating from the heart. Opening up to the voice of our soul involves taking a leap into the abyss: you are invited to rely on your inner guidance rather than the outer directions you are used to steering by. How do you let go of the worldly pressures and judgments that have become almost second nature? How do you know if you have truly connected with your soul? How do you deal with fear and trauma, which keeps you from surrendering? The spiritual messages in this book, received by way of channeling, are meant to answer these questions and to assist you on your path of inner transformation in a loving and compassionate way. As you surrender to your soul, the Christ Within will awaken and illuminate your life as well as the lives of others. 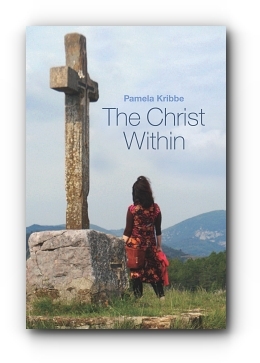 Pamela Kribbe (PhD) is author of The Jeshua Channelings which has been published in over fifteen languages and has touched the hearts of many. Together with her life partner and regression therapist Gerrit Gielen, she offers workshops throughout the world about the transition from ego-based to heart-based consciousness.